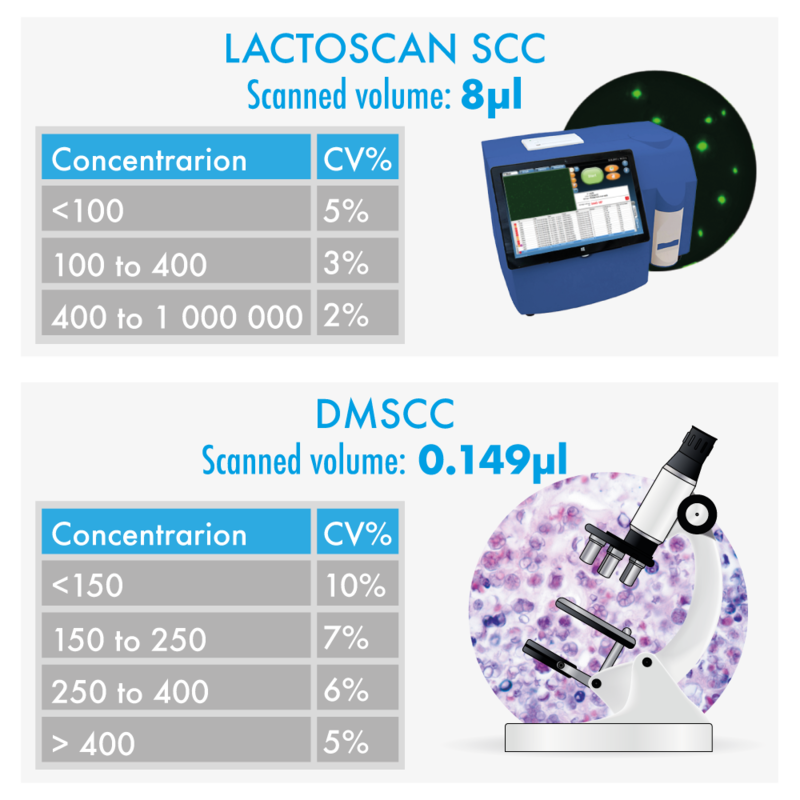 LACTOSCAN SCC Somatic cell counter is based on fluorescent image cytometry for counting cells in milk. It fully comply with the ISO 13366-1 IDF 148-1 Enumeration of somatic cells - Microscopic method (Reference method) with regard to the staining of cells, in the definition of cells to be counted depending on the size and the methodology of the counting. 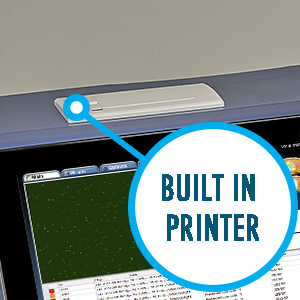 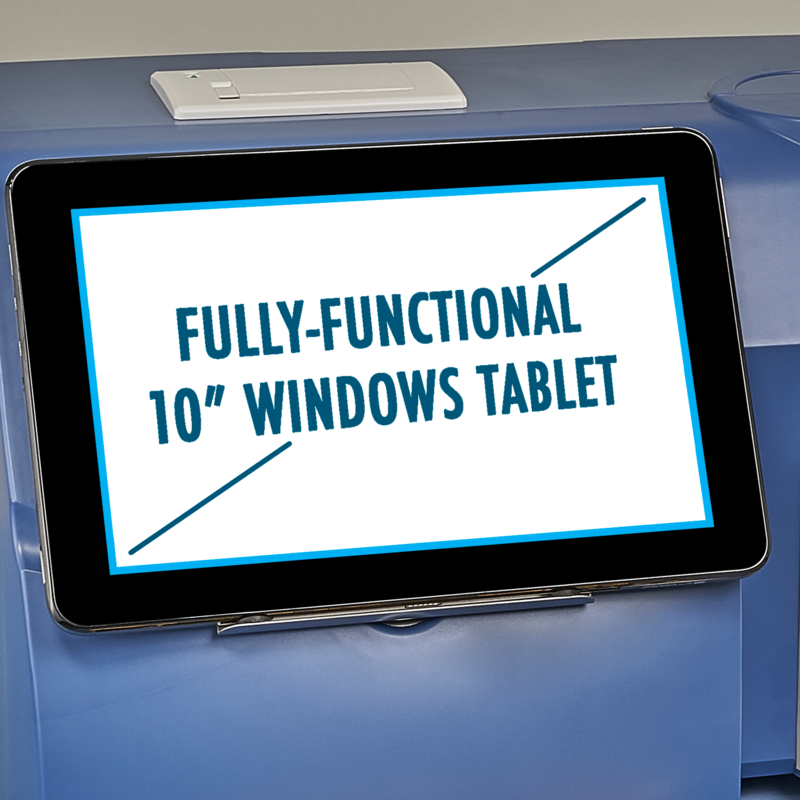 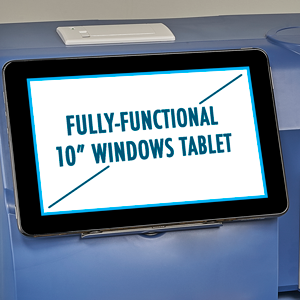 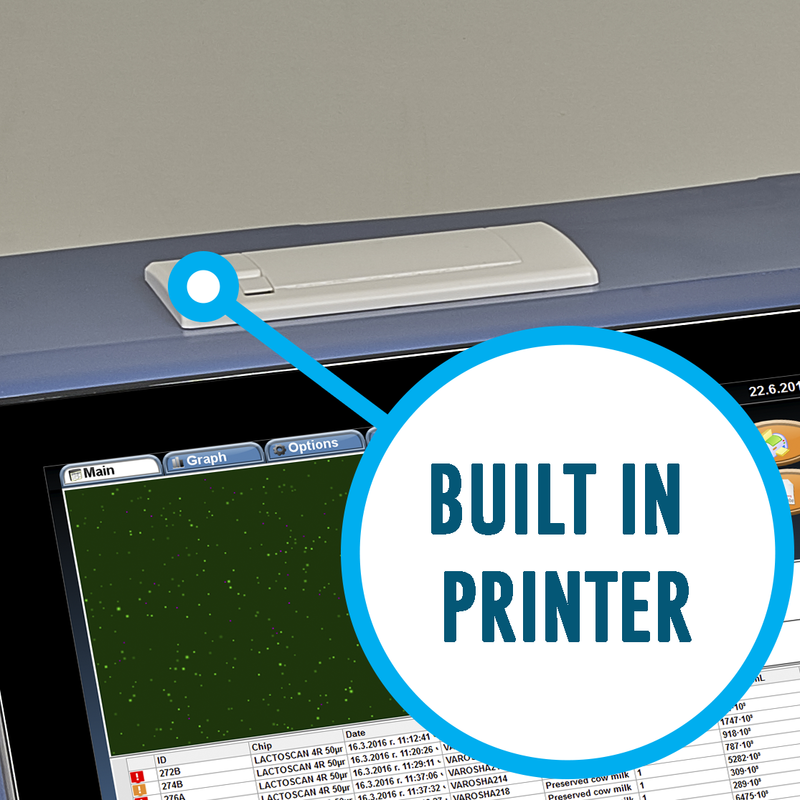 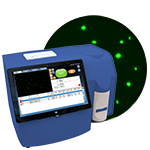 The somatic cell counter offers visual control for excluding accidental errors. 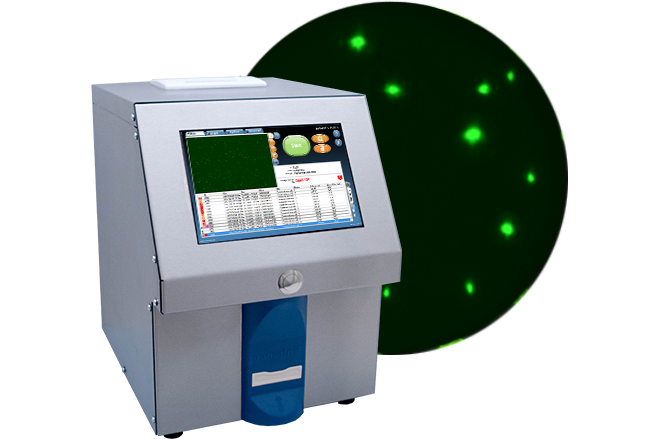 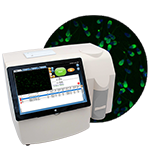 The measuring range of the counter is 2 to 30 µm and the results are expressed as number of cells per mL. 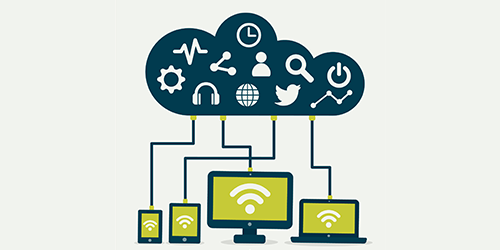 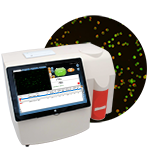 The results are available within 20 to 60 seconds depending on the type of analysis. 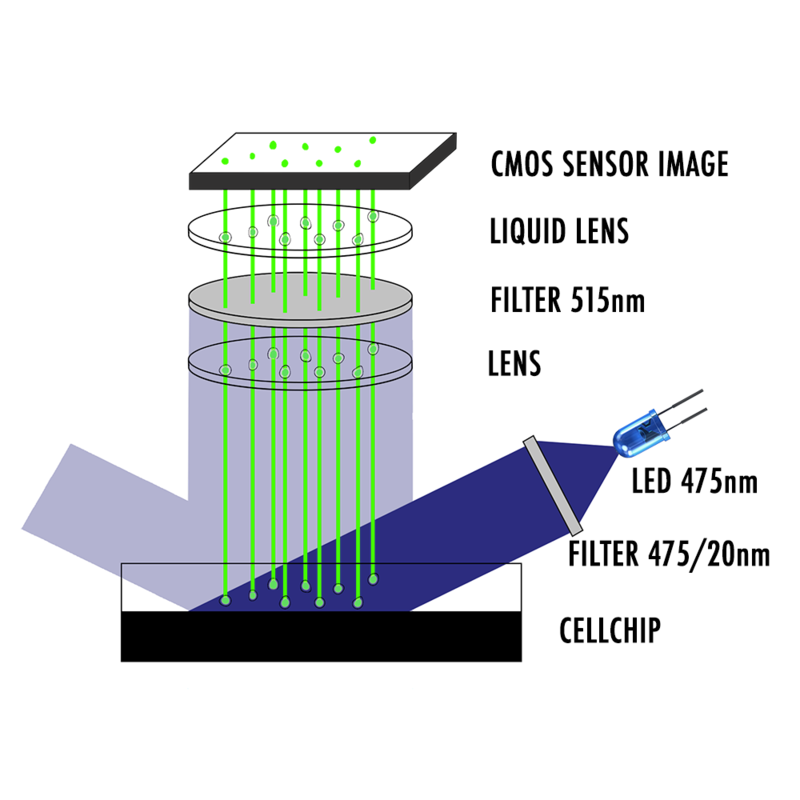 There is no need of calibration, only a graduated scale on a LACTOCHIP is used for verification of the magnification as per requirements of ISO 13366-1:2008 (IDF 148-1:2008) Milk -- Enumeration of somatic cells -- Part 1: Microscopic method (Reference method). 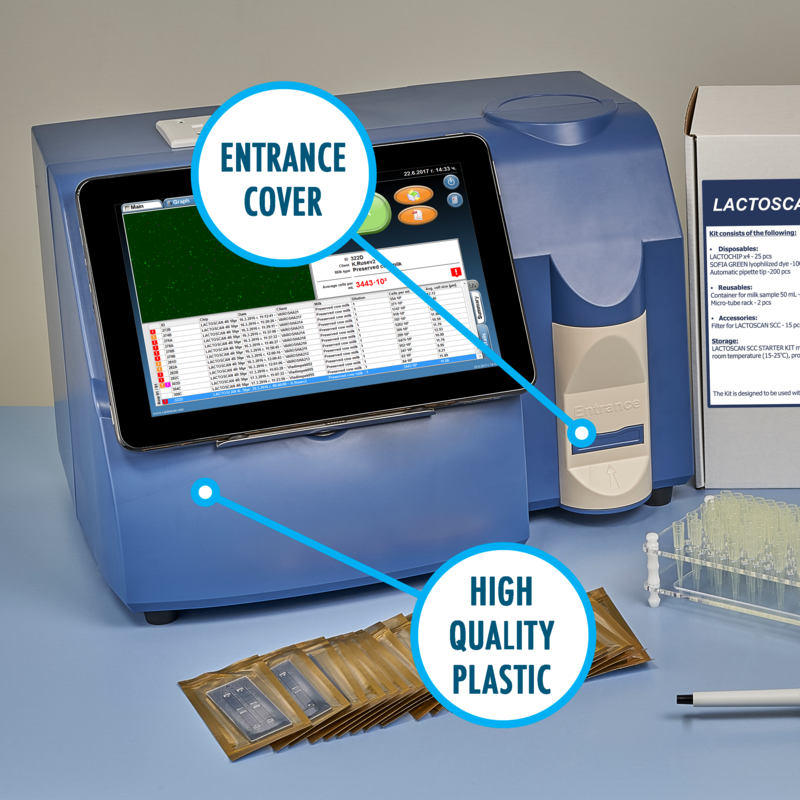 Our device is used from small farms and dairies to large milk collection centres, factories and labs, even in educational and state control institutions. 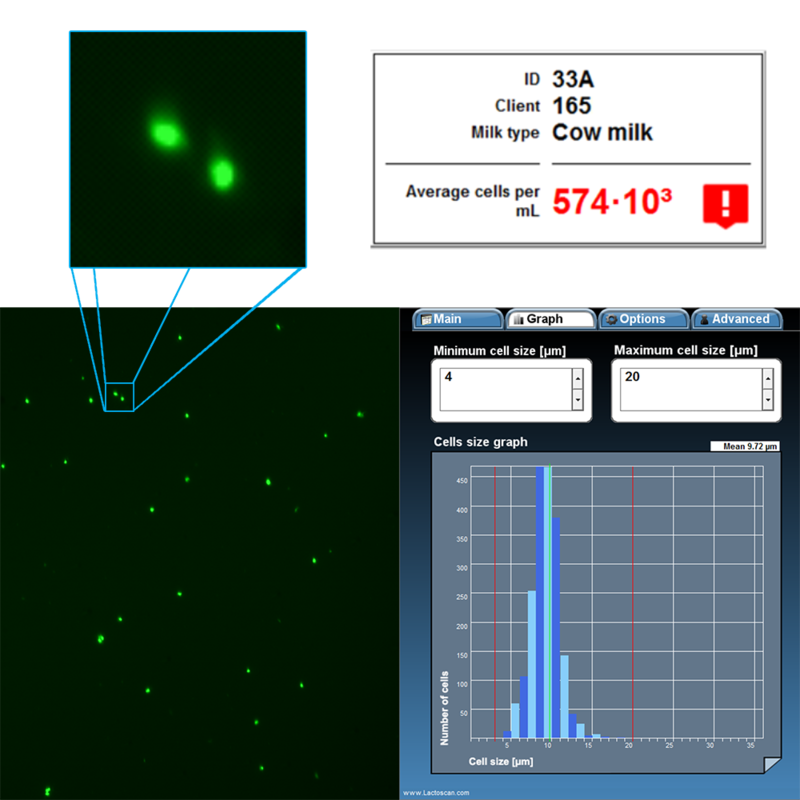 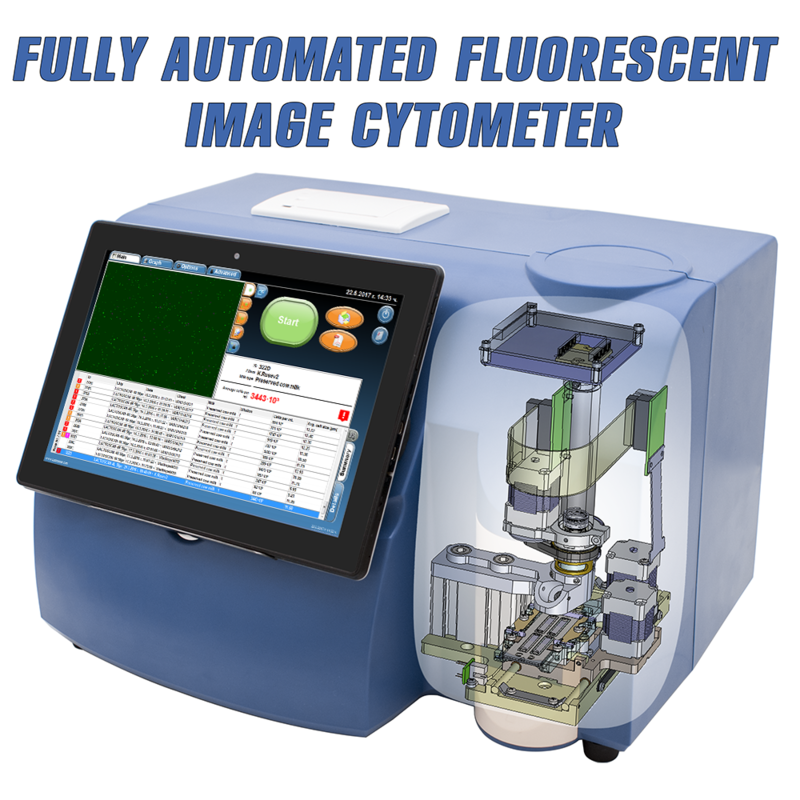 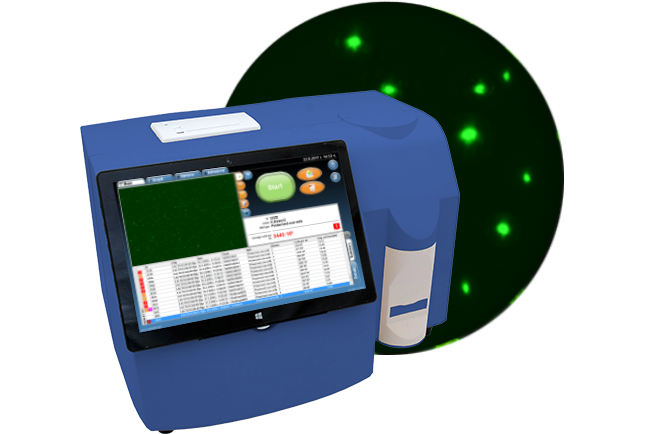 The high precision image fluorescence somatic cell counting is now affordable even for small farmers, dairies and local dairy laboratories. 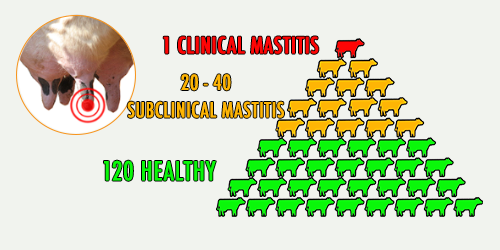 The analysis gives information about cell size thereby differentiation of different mastitis can be done. 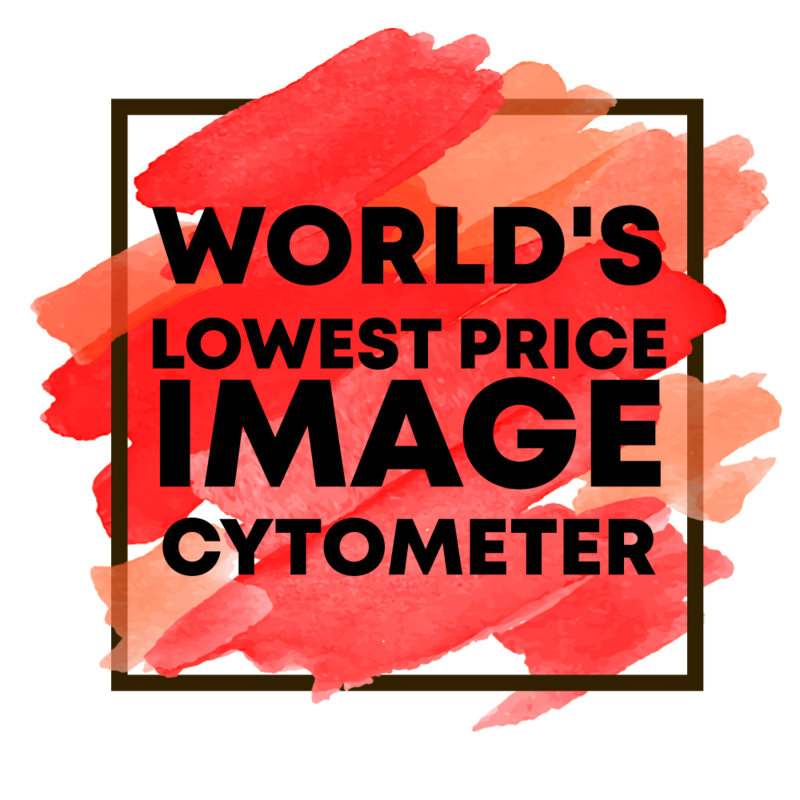 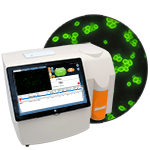 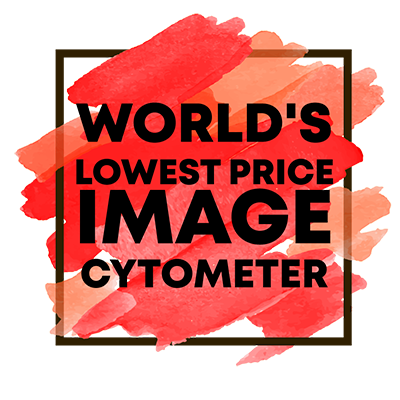 LACTOSCAN SCC is an automated microscope based on image cytometry for counting cells. 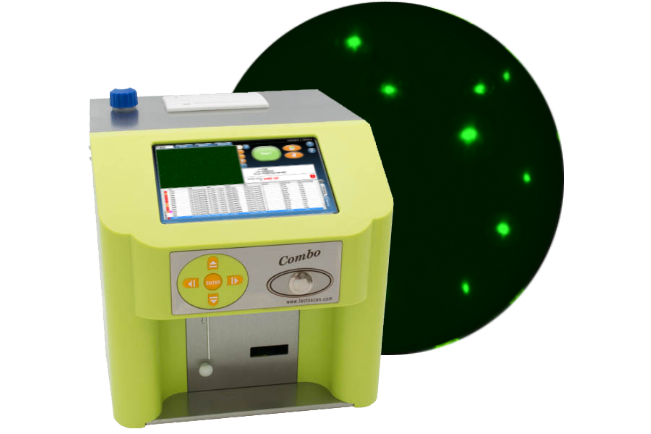 The analysis of the milk is precise, reliable and fast - thanks to the fluorescent dye, laser diode, optics and CMOS imaging sensor, the analysis of the milk is precise, reliable and fast. 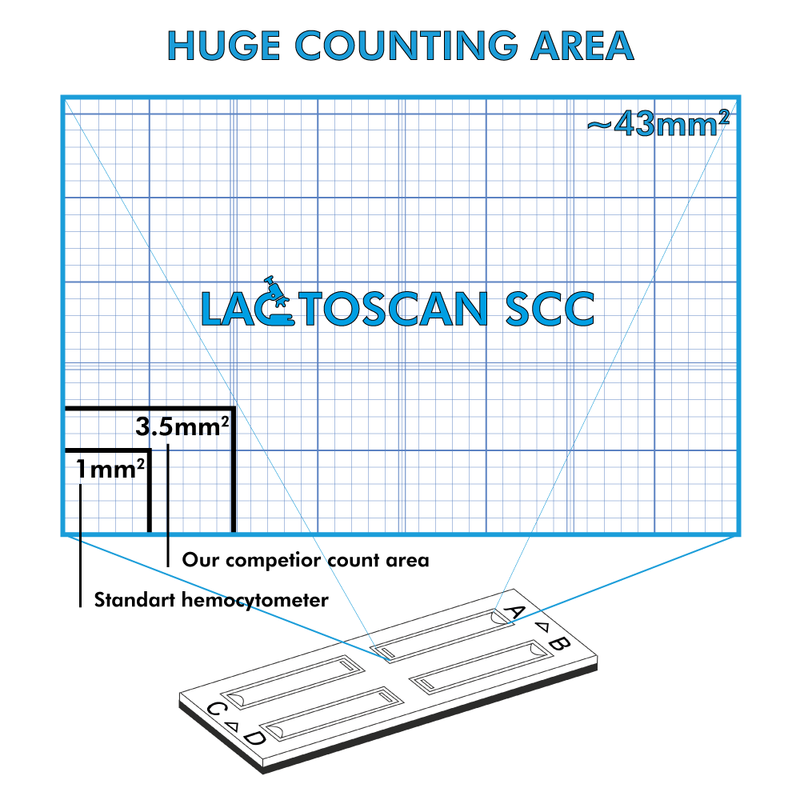 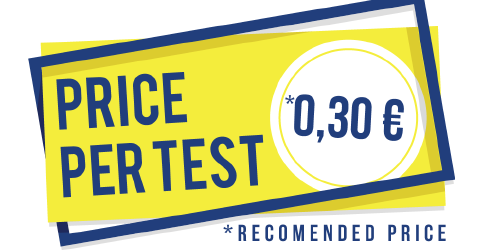 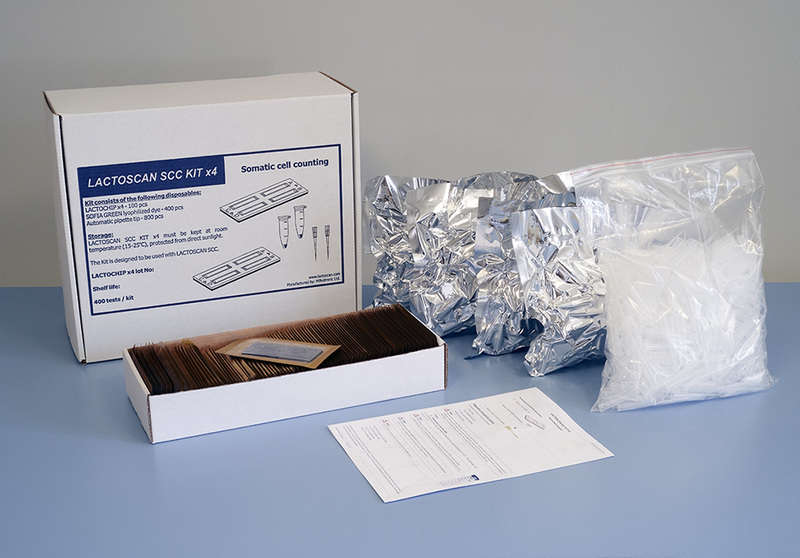 LACTOSCAN SCC possesses the largest volume of scanned sample up to 9 µl that guarantee low coefficient of variation, better than the direct microscopic counting. 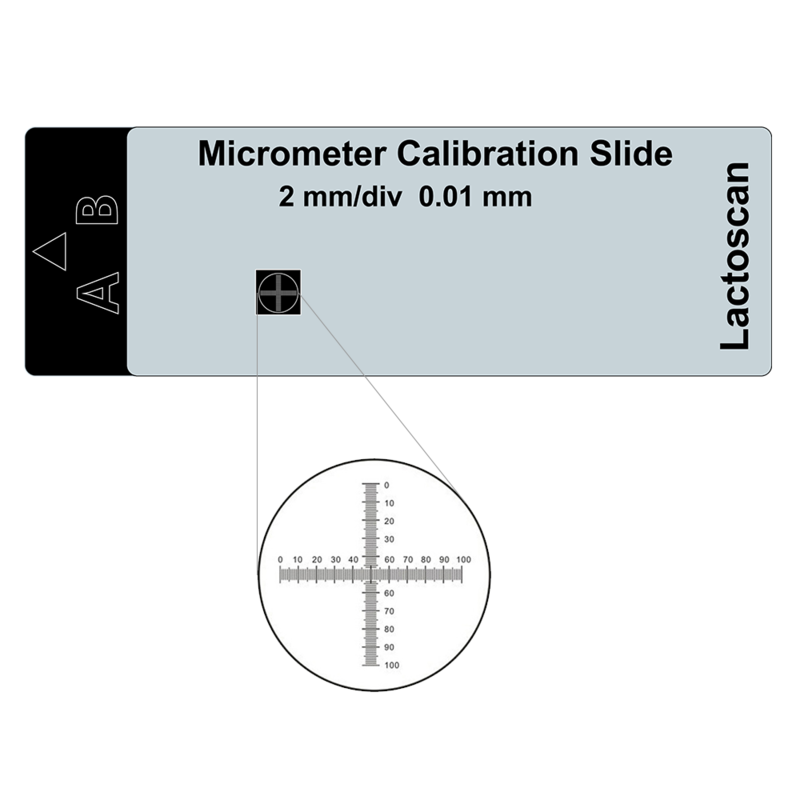 There is no need of calibration, only a graduated scale on a LACTOCHIP is used for verification of the magnification as per requirements of ISO 13366-1:2008 (IDF 148-1:2008) Milk -- Enumeration of somatic cells -- Part 1: Microscopic method (Reference method). 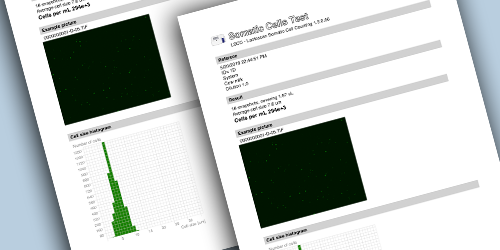 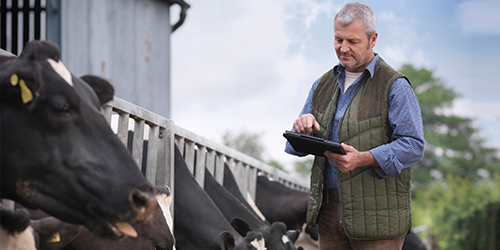 Fast, accurate, reliable somatic cells analysis of cow, sheep, goat, buffalo and human milk.